Ho, ho, ho! Merry Christmas!!! We are nearly there! I hope you have not been too frantic in the lead-up to Christmas and have managed to enjoy some quality time with your friends and family. 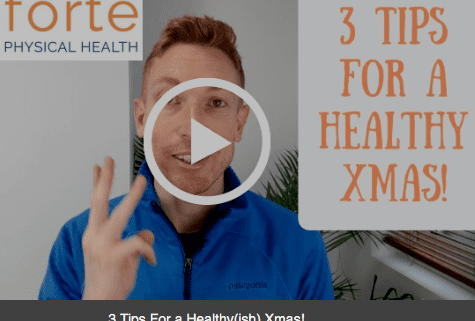 Christmas is a time for family, rest and a few indulgences, and I am not one to stop you! But there are a few simple things that can make the time a teeny bit healthier, while still allowing yourself to have some goodies. Child-induced sleep deprivation means that all I want for Christmas is a nap. A warm, cosy, undisturbed nap. Will it happen? Pfft. Maybe in five years. But I hope you manage to have a great rest, a fantastic time with your family and time to reflect on your year just gone and plan for the year ahead. All of us here at Forté thank you for your support throughout the year. We feel grateful to be able to help so many wonderful people in our community get back to health and living the life they want to live. We hope you have a wonderful Christmas and a Happy New Year! Sunday 9pm – The Fast Begins! My last morsel of food was eaten half an hour ago. It’s a strange feeling knowing that I’m not going to eat again for (hopefully) 60 hours. I’m super aware of all the feelings in my body, wondering if I’m going to cope until Wednesday. I followed the advice from the experts and didn’t eat more than normal to ‘stock up’ and I avoided sugar. I had a small glass of white wine at lunch (sun was shining and I couldn’t resist! ), but otherwise it’s been a fairly normal and healthy day. It’s been interesting this morning. Obviously I’m not hungry yet, but I’ve noticed how often I steal my daughter’s breakfast! Normally, as I’m getting it ready I take little nibbles here and there, and any leftovers go down the hatch too. Even things like licking my fingers after picking up the cooked streaky bacon would probably give me the wrong stimulus during the fast. It’s taken quite a bit of self-awareness not to do that because normally it’s so subconscious! Just finished work and have got through the day easily. At about 3pm I got a surge of very ‘clean’ energy that has lasted the rest of the afternoon. I felt very smily and happy all of a sudden! My tummy is still rumbling and I do have feelings of hunger, but nothing major. Not having dinner will be difficult from a habit perspective rather than having any excruciating hunger. Pretty hungry, but also pretty tired. I’m going to go to bed and hope I can get to sleep quickly. I don’t think you can feel hungry when you’re asleep, can you? I’ve woken up at 5:30 with a bit of a headache. Nothing serious, just feel a bit groggy. I’ve necked a pint of water with some salt in and this seemed to help. I don’t feel hungry as such, just ’empty’. I’m quite impressed with how well I feel actually. Despite the grogginess, it’s not as bad as I was expecting! Making my daughter’s breakfast was quite tough. I started to get a little angry! I was rushing, and became clumsy and irritated. It was so tempting to eat some, but I resisted. I had a bit of a talking to to myself. I realised that this is where the test begins. Acknowledge the discomfort, but don’t give in to it. Yesterday was easy but it was just the warm up. Any discomfort I’m feeling now is normal so I don’t need to be irritated. Feel it. Breathe. Let it go. I’m now enjoying this slight feeling of tension and realise that it has actually given me energy. As I’m writing this, my fingers are moving faster than normal and I’m not making as many typos. I took a brisk walk to the shops to pick up some more mineral water and I’m feeling good. On that note, yesterday I drank about 3 litres and I don’t think it was quite enough. I’m going to aim for 3.5 – 4 litres today. This is just a feeling, so don’t take it as gospel that this is the right amount for you. I see my first patient soon and I’m curious how much energy I will have to do the more physical side of my job. Mentally, I’m up for it! Salt! I’ve not been having enough salt! Over the last couple of hours I’ve drunk a large glass of water with a good amount of Himalayan salt in it and it’s changed everything. I feel happy, energised and my headache has completely gone. They said in the group I’m in that we need to be having salt, but I hadn’t been putting enough in my water yesterday. This has made a big difference. I feel much better now than at any point in the fast so far. Treating my first few patients has been fine, I haven’t felt dizzy or weak at all. In fact, I’m more focussed mentally and able to be more ‘present’. It’s funny how I haven’t eaten for over 40 hours but my tummy still rumbles at lunchtime! I have a few feelings of hunger, but I feel very clear mentally and I’m coping well physically too. I had one small episode of dizziness after getting up quickly and I feel more cold than normal, but nothing bad at all. The improved mental clarity out-weighs any negative feelings from the hunger and cold. I finished work a little early today so went for a walk into town. Big mistake. I was feeling fine until then but all the food made me feel so hungry! Being busy with things to take your mind off the hunger is essential. Dinnertime (for the rest of the family) was really tough. The smell of freshly cooked food was enough to drive me insane! In all honesty I nearly cracked. But when I really asked myself if I need food, I realised the answer was no. I could push on. I didn’t feel dizzy or unwell, just really, really, hungry. I wanted to taste flavour again. And chew something. Drinking salty water all day has become a little tiresome! As I sit here now, a little after 9pm, all the food has been cleared away and I feel much better. There’s no food in sight and I’m busying myself writing this blog and I feel very good. I’m quite tired, I’ve got the very beginnings of a headache, but I feel very positive about the experience now. Earlier I nearly gave up and had a lot more negative thoughts floating round my head. I must warn you, I absolutely stink! My breath stinks. My armpits stink. Generally I’m a pretty horrible person to be in close proximity of. I’m assured this is a good sign and is completely normal for when you are in ‘ketosis’. This shows that my body is now getting its fuel from my fat reserves and starting to detox damaged cells. Very cool. (And also very smelly). Earlier, all I could think about was what I’m going to have to eat at 9:30am tomorrow (my 60 hour mark), but now I just want to go to bed and fall into a deep sleep. I have vague thoughts of how perfectly I’m going to make my scrambled eggs in the morning, but the tiredness is taking over the hunger. I woke up to the smell of my own breath! I have the breath of a two day old corpse. It’s appalling. I’m going to go and have a mug of hot water to see if it helps. I don’t feel hungry at all which is a sign I’m working off my own fat reserves and in full ketosis. I’m really happy I punched through the tough bit last night at the family’s dinnertime so I could get to this state. However, I don’t feel happy! I’m pretty groggy and bleary-eyed. I remember writing on day one about a clean energy and feeling smily for no reason. Well, that’s long gone! Ok, here’s a little disclaimer, I’m writing this a day after I finished the fast. Yesterday, I was just too moody to write anything! I was the grumpiest and most irritable I’ve been for years. I can’t remember the last time I’ve felt like that. I slept terribly from Tuesday to Wednesday. Every time I fell to sleep, I’d get dragged awake by some unseen force 20 minutes later. I also had some funky nightmares and my head was in a spin. All of this lead me to be the biggest grump I think I have ever been! In the fasting group I’m in, most people have found their sleep actually improves during the fast, yet there’s a smaller number of us where they can’t sleep, and I’m one of them. When I think about it, I also felt like I had restless legs, which could be a magnesium deficiency as magnesium also affects the ability to get to and stay asleep. Yesterday, even once I had eaten, my thoughts were, “I’m never doing that again” (and then a lot of swear words). However, thankfully, for those of you who may have been put off, there’s some good news. I managed to have a nap half way through yesterday which really helped the grumpiness, and I ate a little more food. By last night I was feeling “okay”. Not brilliant, but on the normal spectrum of happiness. Today I feel brilliant. I can really feel a noticeable difference and my mind and body feel clean. When I think about it, all the resources I had says there will be a time where you feel terrible, and this is actually the detox process at work. You can’t get the full benefits without feeling bad at some point. If you go on to try this though, I must warn you, if you feel like I did, it’s horrible! Remove yourself from all conversation for a day because you won’t be rational. I can assure you however, you will get through it. There is light at the end of the tunnel, and it’s a good place to be. But, I digress. My first meal! Despite the dark clouds hanging over my head, my first meal of scrambled eggs and a mug of bone broth was absolute bliss. To have flavour and texture again was heavenly, and quite literally put a smile on my face. I couldn’t eat much at first. I’d made 5 scrambled eggs to be shared between me and my little girl, and initially I think I had one and a half. Then I drank my broth and let things settle. I could feel my stomach physically expanding. And then, my daughter lost interest in her breakfast and I kept chipping away at the eggs with little breaks in between and I reckon I ended up having about 4 of the 5 to myself. For the rest of the day, I ate some avocado on toast and then a light dinner, but the real challenge was getting through the day without having a mental breakdown! I slept really well last night and today I’m happy and glad for the experience. I will be doing one again! I can tell you exactly when the biggest change in my own health happened. It was December 9th, 2010, and my appendix nearly burst. Thankfully it was caught early and whipped out before anything major went wrong. However, the fact that it went wrong confused me. I thought I was healthy! I was really into cooking at the time and eating a wide range of foods, so I thought I had the “balanced” diet that we get told to eat. I’d heard about an idea filtering through the health and fitness community about eating the way we’ve evolved to eat – “the paleo diet”. Having just had an operation I had a few weeks off to recover which gave me time to read up on this idea. For years I’ve read about nutrition and I’ve slowly tweaked things away from the true paleo model, but I have always valued the importance of eating clean, natural foods and I try to help my patients do the same when I can. However, we now have an expert here to help as we have our own in-house nutritionist starting this week! 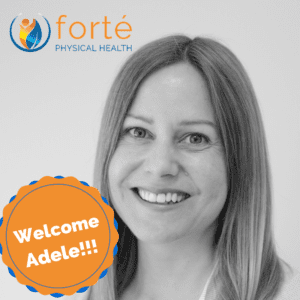 I have been collaborating with Adele for about a year now with patients who need nutritional help alongside their osteopathy, and during that time I’ve secretly wanted her in the clinic. And with a fortuitous twist of fate Adele is now here at Forte! As this is a new service to us, and you may not be sure if it is helpful for you, Adele is offering a free 15 minute consultation to discuss any health matter and see how nutritional medicine can help you. This can be in the clinic or over the phone. 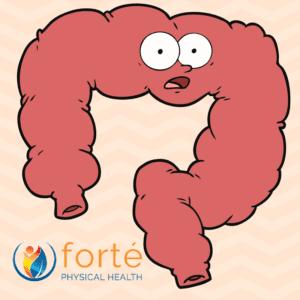 We’re very excited to be able to add this facet of health to our repetoire at Forte, and if you have any questions, please do let us know.